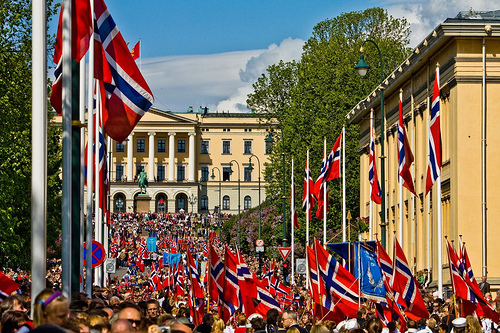 Today is Norway’s birthday- flags, bunads, and parades pretty much sum it up. It is a big day of celebration with several parades in the cities, and at least one in the smaller towns. 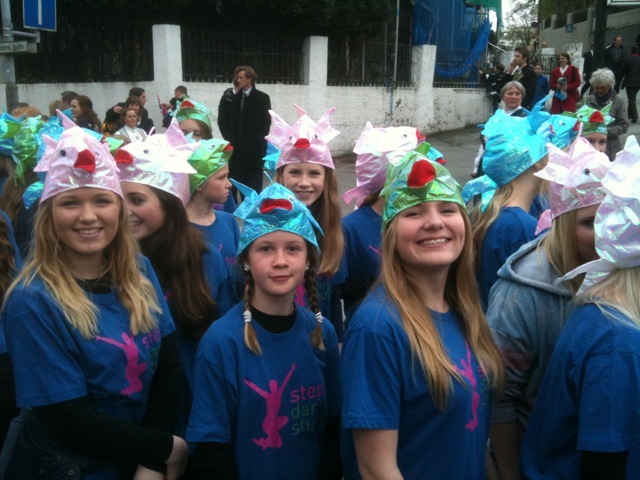 I didn’t head out in the rain to go to the school parade this morning in Stavanger, but I will be in the Folketoget this afternoon with our dance studio, Steps. I thought I would share the above picture in Oslo, because the weather looks much nicer than right now. But I have faith since there is some sunshine in the distance. Photos and reports to come, I’m sure. The whole experience was much more festive than last year since many people were just in rain gear and not nearly as packed from what I experienced. This year, however, everyone was in full traditional dress or at the very least dressed to the nines and lined the streets, overpasses, balconies, and hung out of windows along the parade route. It was quite fun to see and I am glad I got to enjoy that aspect of it this year. 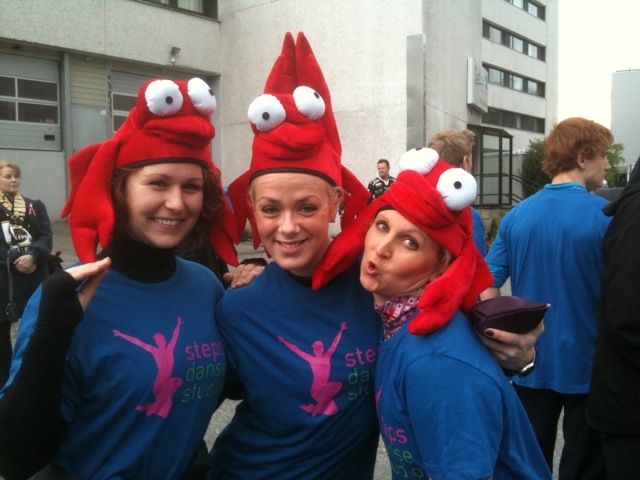 In case you didn’t know, our theme was ‘under the sea’ as we danced along with a hundreds of our students. 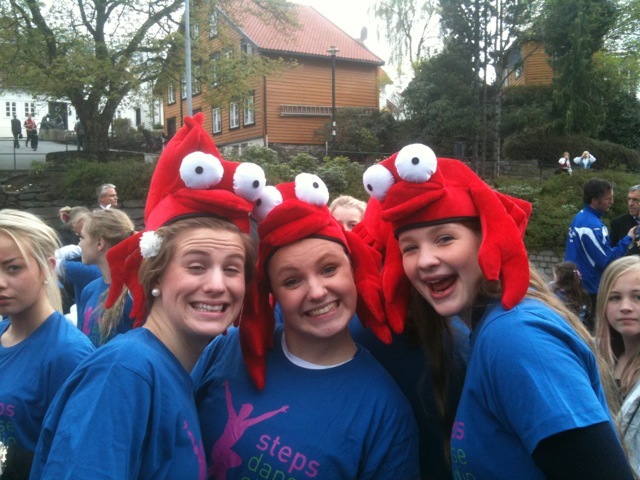 The kids all had fish hats on and the teachers donned a lovely crab hat so the kids could easily identify us (a little too easily perhaps with the bright red 😉 ). I was able to score a couple of photos but not nearly as many since we were dancing the whole time, so I have added a couple of links to photos from the press. 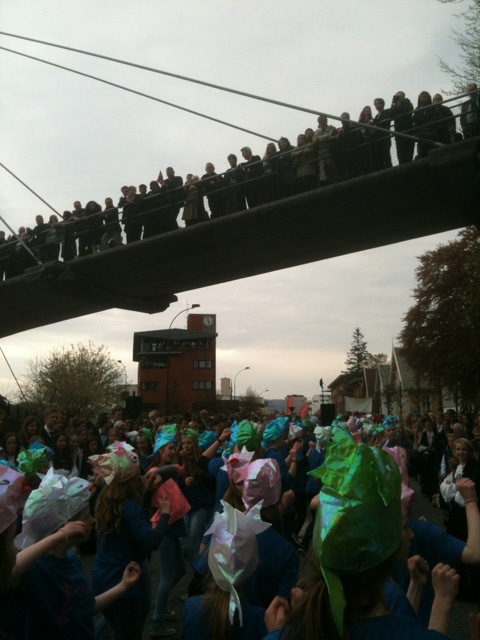 A good taste of what it looked like to watch and be in the parade. 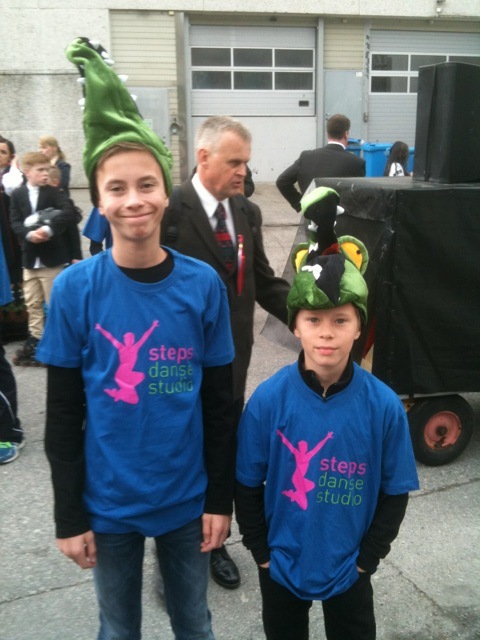 It really was a unique and very Norwegian experience.